Ivan A. Saperstein counsels individuals and corporate clients in transactional and litigation matters related to start-ups, small business, copyright and trademark, fashion, branding, entertainment, First Amendment, internet and media as well as commercial and residential real estate, finance and general contractual matters. Additionally, Mr. Saperstein represents clients in will, trust, estate, elder law, family law and matrimonial matters. Mr. Saperstein began his legal career as in-house counsel to Unapix Entertainment, Inc. where he established his concentration in entertainment production and distribution, intellectual property protection, and general corporate and commercial matters. From 1998-2002 he practiced law with the firm Shukat Arrow Hafer & Weber, LLP (now Shukat Arrow Hafer Weber & Herbsman, LLP) working on transactional matters as well as litigation. In 2003 he joined Wellspring Media, Inc. as Senior Director of Business and Legal Affairs. He began his private practice in 2006. Mr. Saperstein graduated from Emerson College with a Bachelor of Science and received his Juris Doctorate from Whittier Law School. He is a member of the New York and New Jersey Bar, and is admitted to practice in the United States Courts for the Southern and Eastern District of New York. 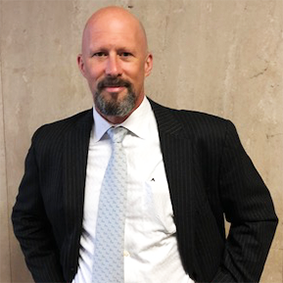 Mr. Saperstein has completed training with the National Institute for Trial Advocacy and is a member of the New York State Bar Association and the New York City Bar Association. Mr. Saperstein has presented at numerous conferences, industry events and continuing legal education classes. He is currently an Adjunct Professor at Seton Hall University where he teaches Media Law and coaches the Mock Trial Team. Adam Silverstein is an experienced trial attorney with a background in real estate and construction, which provides a blend of legal and very practical knowledge bases. Clients are far-ranging, as interpersonal and business disputes tend to vary wildly. “Business divorce,” is a common theme. His view is that litigation, while a fairly certain method of resolving a dispute, should be a last resort after other efforts prove inadequate. War, as it were, being a continuation of policy through other means. Mr. Silverstein also handles most of the firm’s criminal matters, including financial crimes and represents people in local, State and federal courts. Mr. Silverstein has been practicing since 1995 and is admitted in New York, New Jersey, Connecticut and the federal district courts of New Jersey and New York. His experience, aside from trial work, includes significant transactional practice, as well as business formation and dissolution. He has a bachelor’s degree in English Language and Literature from The University of Chicago and a Juris Doctorate from the Benjamin N. Cardozo School of Law at Yeshiva University. Raised on City Island in the Bronx, he now resides in Brooklyn.